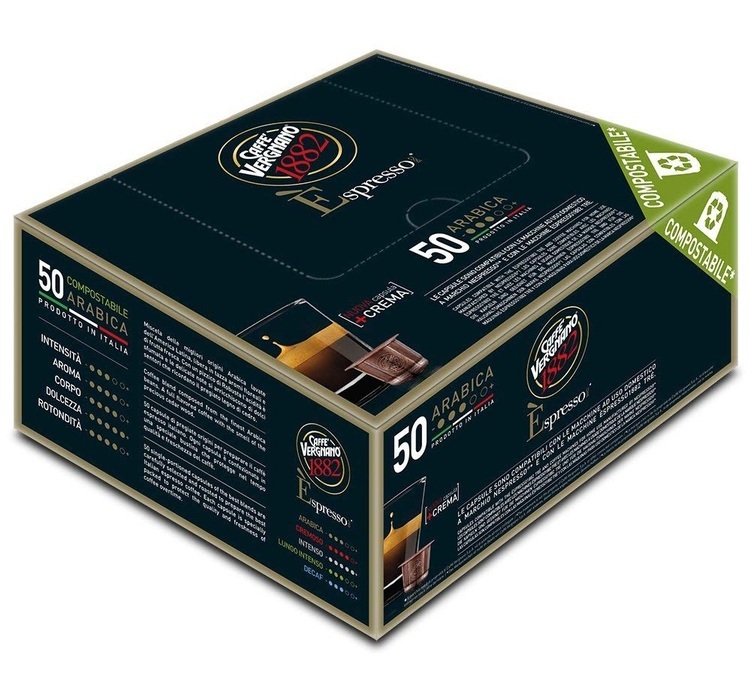 Discover this pack of 50 biodegradable Arabica Espresso capsules from Caffe Vergnano. An exclusive aromatic blend characterised by citrus and floral notes with a delicate and persistent taste. The capsules are compatible with Nespresso® machines. Comes in a pack of 50 capsules. L'Or Jaune capsules by l'Or Espresso compatible with Nespresso. Tasty notes of caramel and spices for a strong espresso and a unique tasting experience. s.